|Rural Municipality Ward Chairman = Laxmi Narayan Yadav |Rural Municipality Ward member = Uma Sankar Ganesh,Chandrakala Ganesh,many more. Gherabari ] in Jhapa District in the Mechi Zone of south-eastern Nepal. 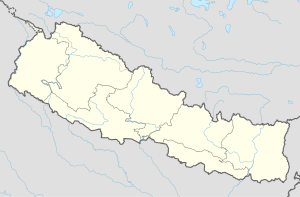 At the time of the 1991 Nepal census it had a population of 6049 people living in 1174 individual households. ^ "Nepal Census 2001 r". Digital Himalaya. Archived from the original on 12 October 2008. Retrieved 24 November 2008. This Mechi Zone location article is a stub. You can help Wikipedia by expanding it. This page was last edited on 10 February 2018, at 09:21 (UTC).